The first fat bike I rode was a Specialized, at a product launch back in 2013 when they only had some prototypes. 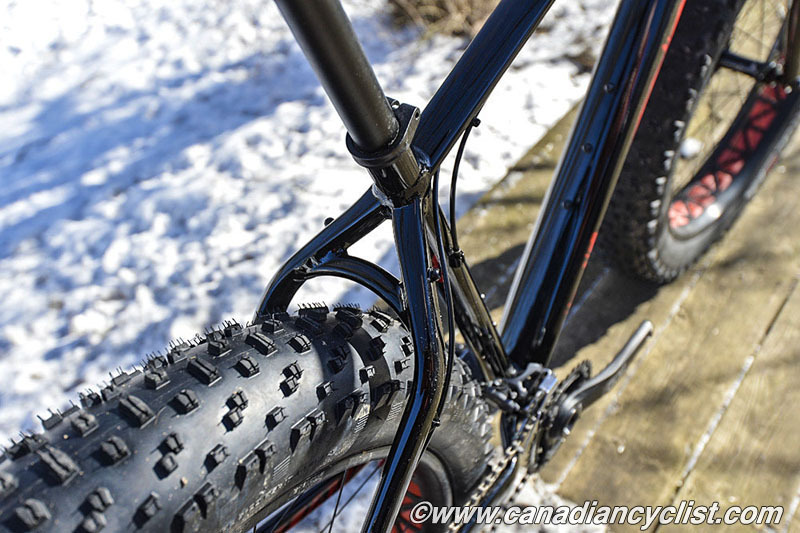 There was a long line up to try them, so I only had about 30 minutes to put it through its paces, but it certainly changed my belief that fat bikes were lumbering heavy weights. Since then, Specialized has gone all in on fat bikes, with a total of seven models for 2015, including 20" and 24" wheel versions. We tested the Fatboy Expert, which is the middle of the range in their line up, with a MSRP of $3139. At the top of the line is the Fatboy SL at $7299, which is heavily tricked out with customized components. The Fatboy Pro ($4899) is the only model with the RockShox Bluto suspension fork, and below the Fatboy Expert is the Fatboy at $2299 and the entry level Fatboy SE at $1779. The Fatboy 20 and Fatboy 24 retail for $1229 and $1259, respectively. All models feature the same butted M4 Premium aluminum frame, mated with a Specialized FACT carbon fork for everything except, of course, the Bluto-equipped Pro. The carbon fork makes the Specialized one of the lighter fat bikes on the market, with ours coming in at less than 30 pounds. Specialized has a long history of using SRAM components for their drivetrain, and the Expert has spec'd a SRAM X7 front derailleur, X0 rear and S-Series Gripshift shifters. Yes, the throttle-style twist shifters. 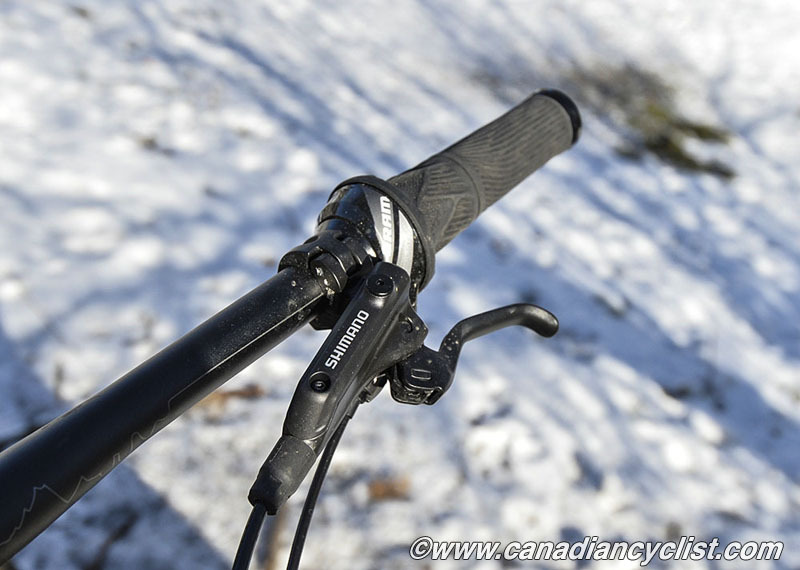 They are an excellent choice for winter riding, when you are wearing heavy gloves or mitts. The crank is e.thirteen with 22/36 chainrings and an 11-36 10 speed cogset. The cogset is a lower quality spec then the rest of the drivetrain and, although it shifts just fine, could be a potential replacement item down the line. Braking is handled by Shimano Deore hydraulic discs with dual pistons, for more than adequate stopping power. Specialized has a long history of branded components, and they make up much of the rest of the spec. Handlebars, stem, seatpost, saddle and pedals are all Specialized, and so is the wheelset, which deserves special mention (no pun intended). The hubs are Specialized's MTB Hi Lo, which have been around for a long time and are a durable choice. 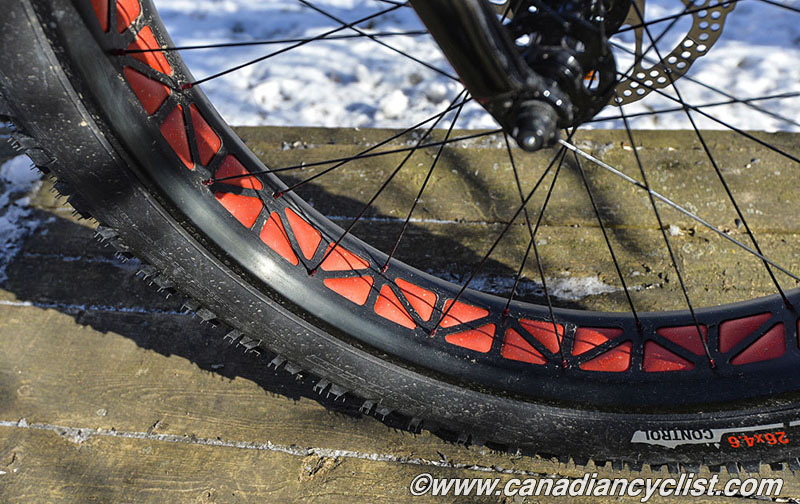 The rims are a new Specialized fat tire design (not yet made on the prototype I tested in 2013); 90mm width alloy with a sizable square cutout to reduce weight. The tires are 26x4.6" Specialized Ground Control Fat. The Ground Control is one of Specialized's oldest models - I've been riding various versions of it for over three decades. It has always been an extremely versatile tire with great traction, and the Fat version is no different. It is not as good in deep snow conditions as, say, the Vee Rubber Snowshoe XL we had on the KHS 4 Seasons 3000 we tested, but it is definitely a lot lighter and faster in most conditions. 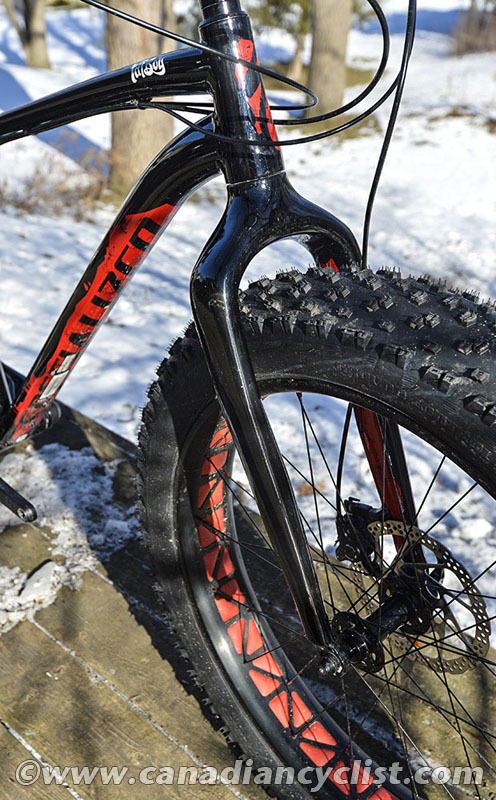 The Fatboy uses a very similar geometry to the Crave, Specialized's 29er hardtail. This is designed as a fast and nimble cross-country bike, and the Fatboy Expert did indeed live up to that standard. 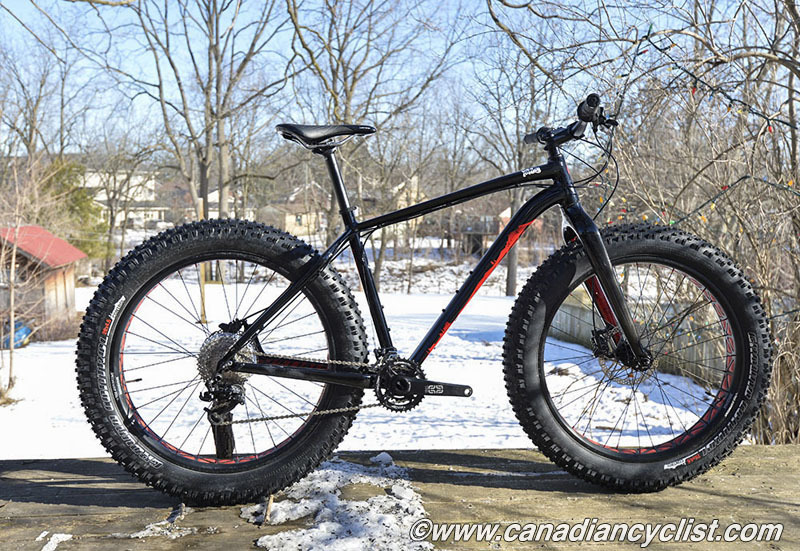 This is a bike that you very much forget is a fat bike. It is a well-balanced, nimble performer that is a pleasure to ride. 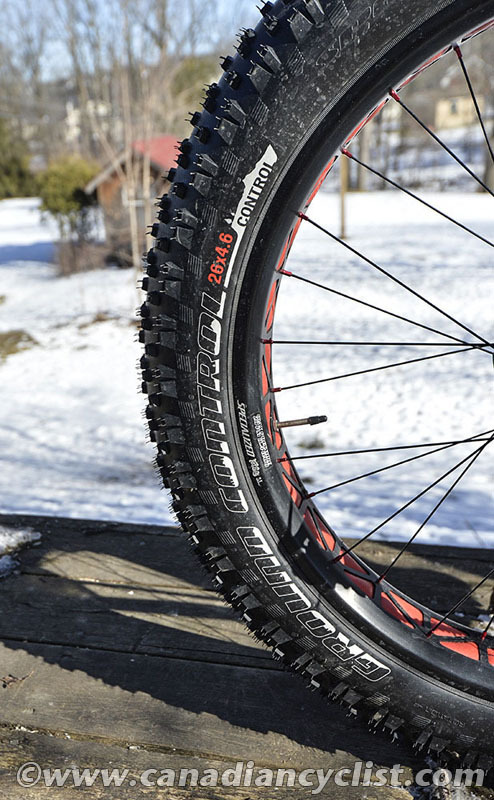 Most fat bikes struggle a bit on tight or technical trails, but not the Fatboy. It climbs extremely well and is a surefooted descender. Having said that, the only shortcoming is in what is the traditional terrain for a fat bike - deep snow or sand conditions. Here, it bogs down more than some others. If you are looking for a traditional fat bike then the Specialized Fatboy may not be the best choice. This is an excellent all around mountain bike that happens to have fat tires.